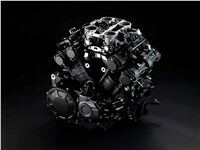 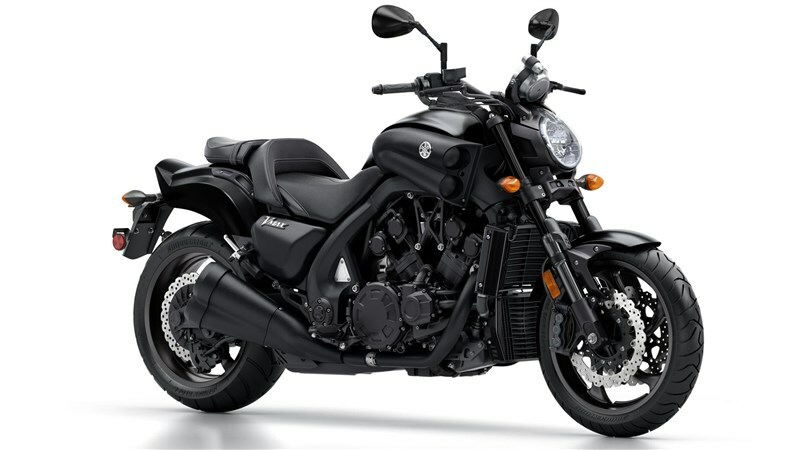 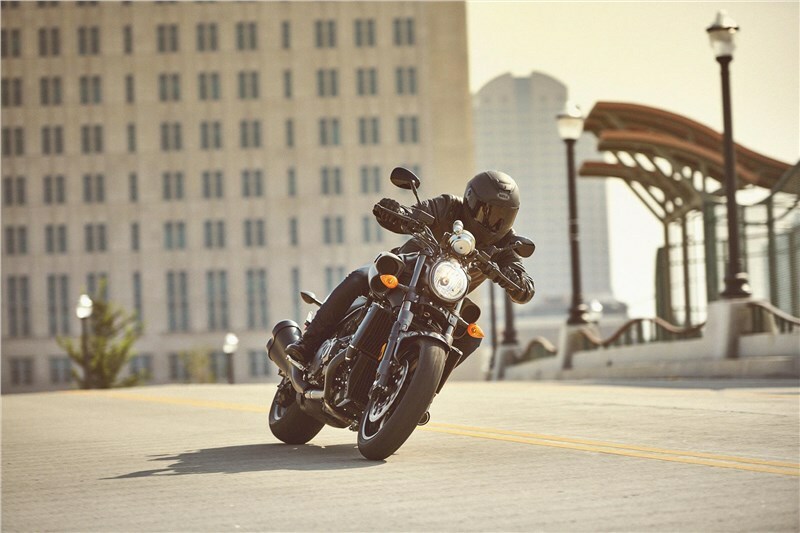 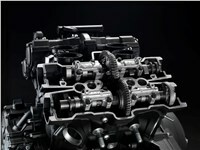 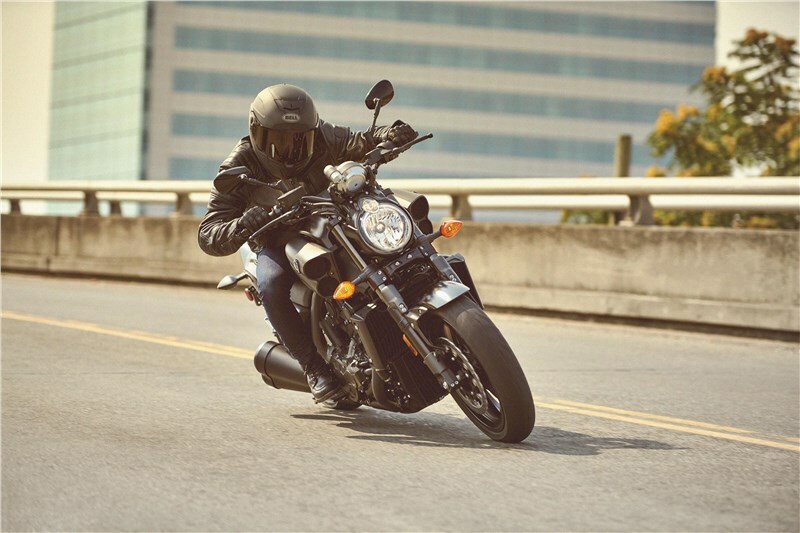 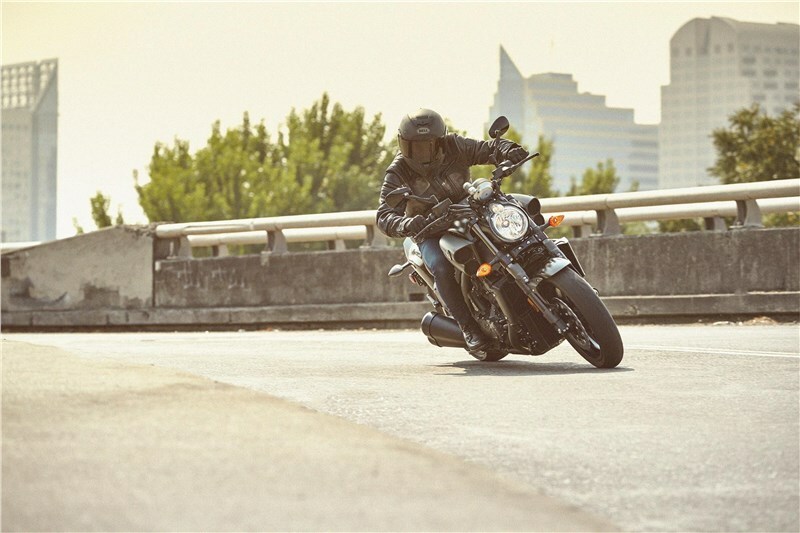 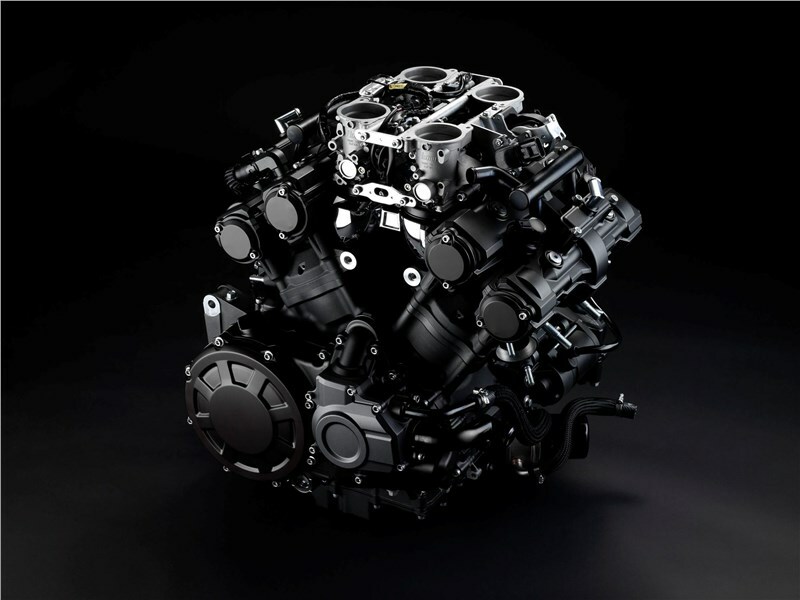 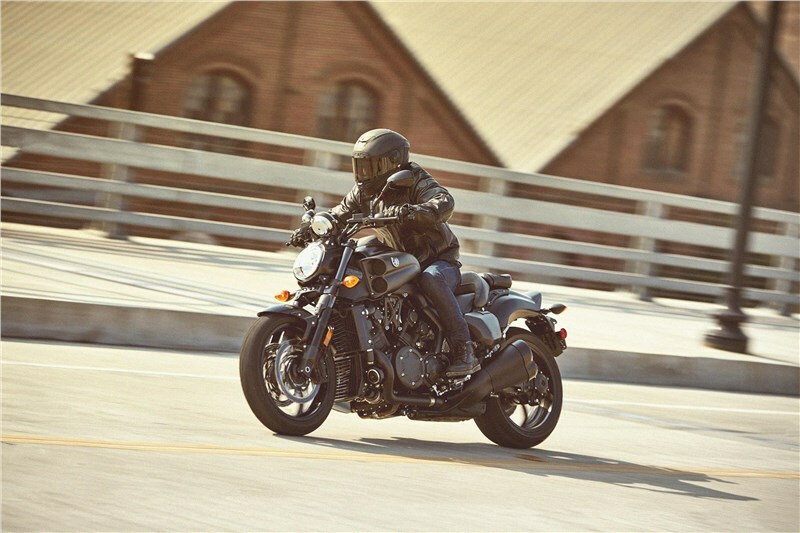 The thunderous 1679cc, 65-degree, liquid-cooled, fuel-injected four valves-per-cylinder, DOHC engine pumps out astonishing power to reinvent the VMAX legend. 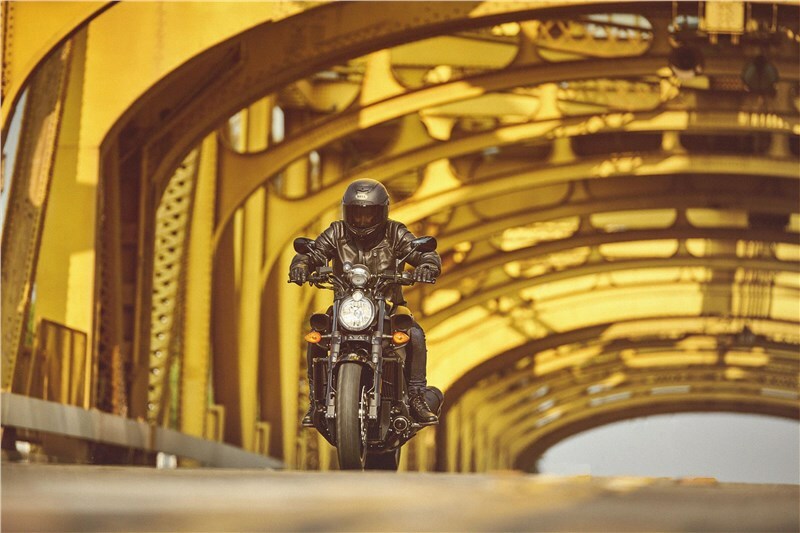 You’ve never experienced anything like it. 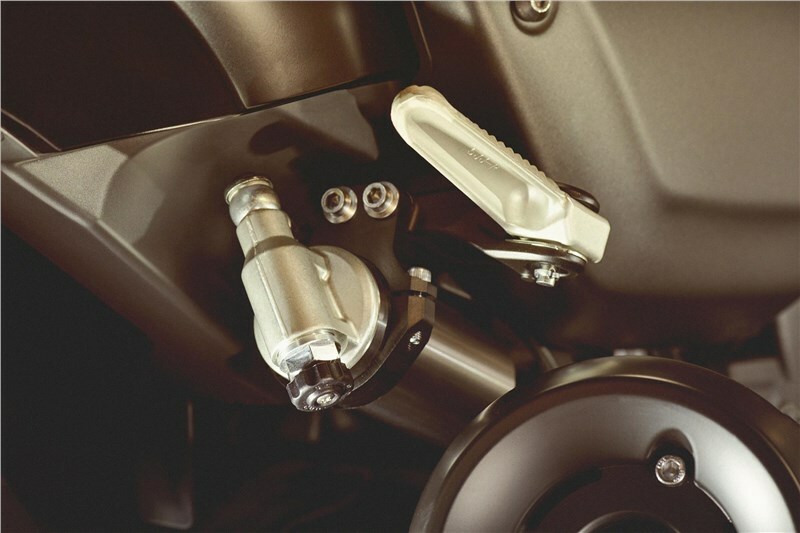 The superbike-proven Yamaha Chip Controlled Intake (YCC-I) switches nearly instantaneously between 150mm and 54mm height intake funnels as needed for a broad powerband that delivers optimum performance at any rpm. 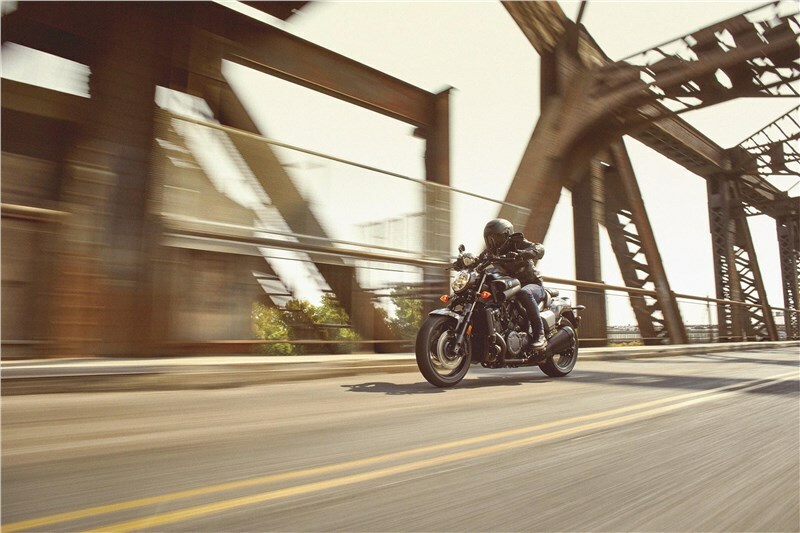 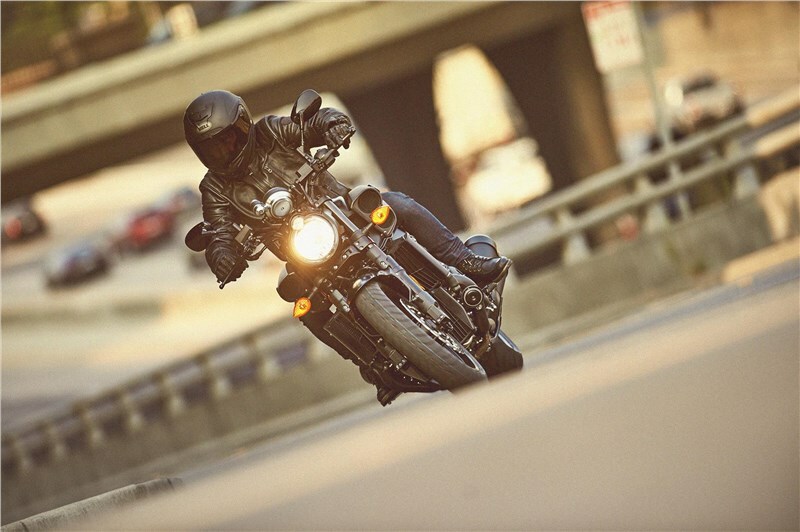 Delivering this power cruiser’s muscle to the street means a beefy shaft drive. 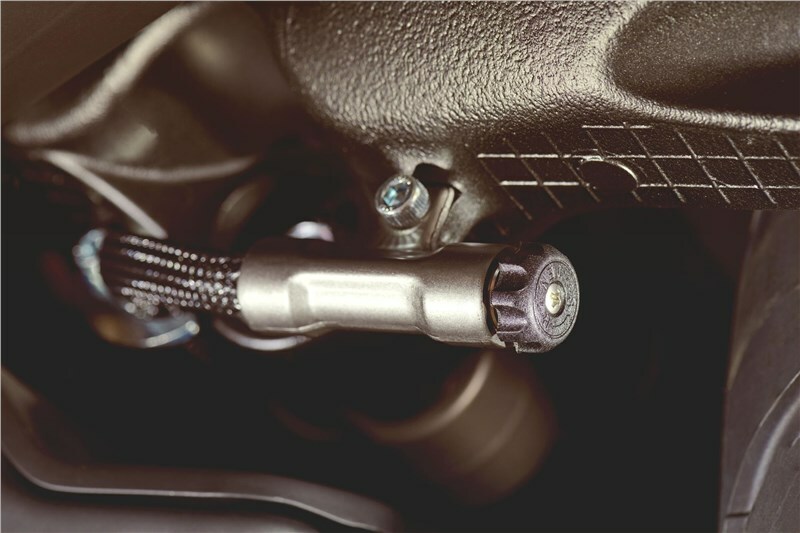 Special shaft design includes two cross joints to accommodate the fat 200/50R18 rear tire. 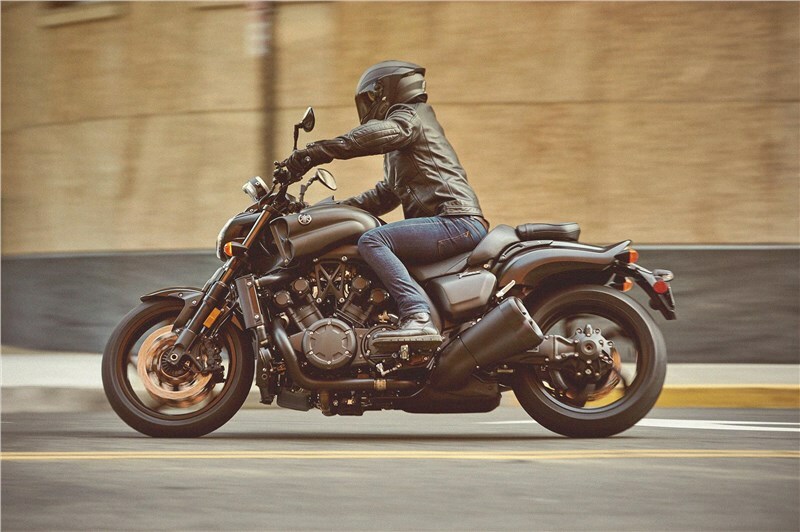 Four-into-one-into-two-into-four exhaust system with EXUP® delivers a broad, seamless powerband with the right VMAX look… and a sound unlike anything on two wheels. 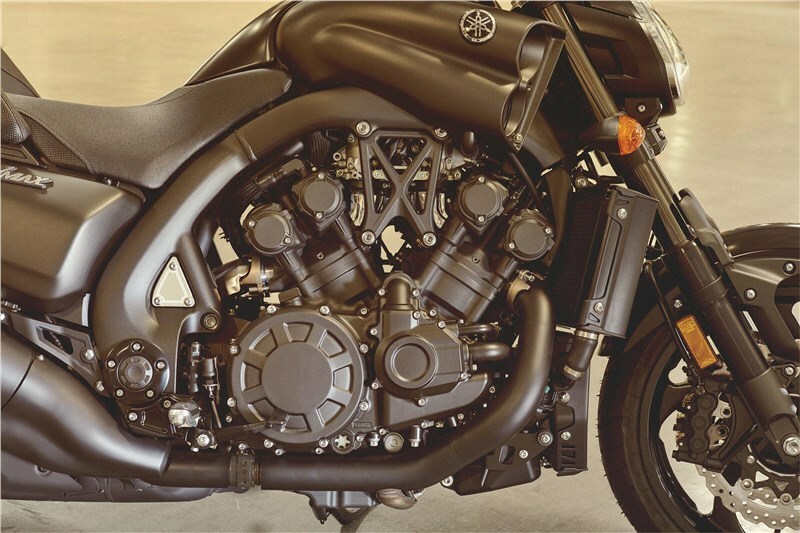 The iconic VMAX aluminum intake covers are hand buffed by craftsmen for superb quality and individuality. 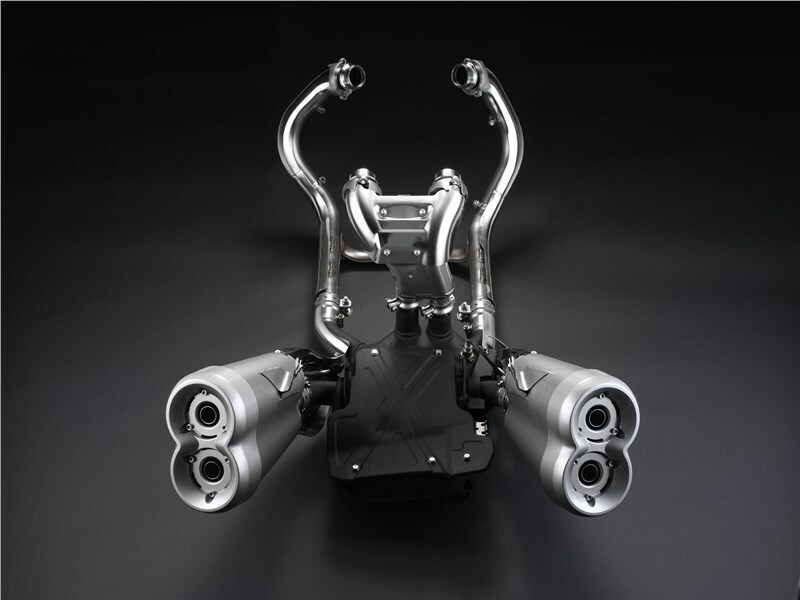 The chassis is light and compact, with a cast aluminum main frame, Controlled-Fill die-cast and extruded aluminum rear frame and cast aluminum swingarm. 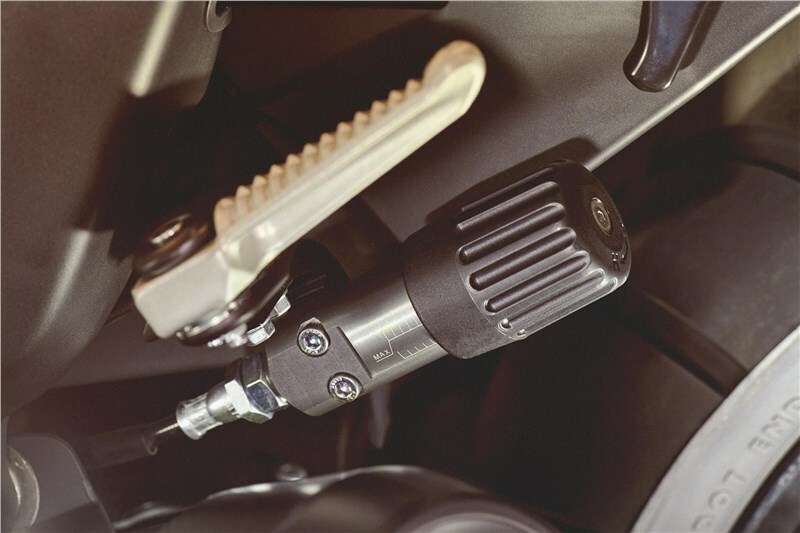 Link-type Monocross® rear suspension has a remote reservoir and features compression and rebound clickers plus remote preload adjustment. 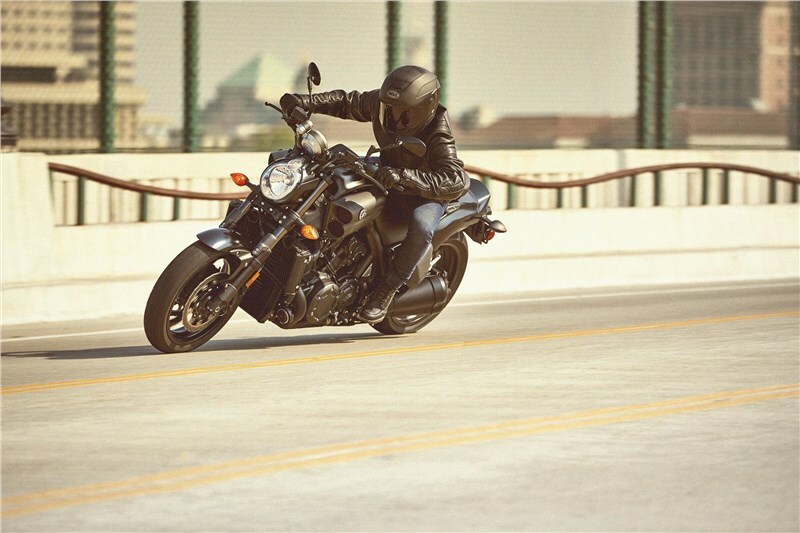 VMAX uses Brembo® master cylinders, the front with radial pump master cylinder. 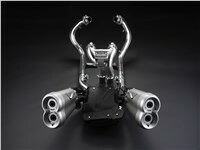 Large 320mm wave-style dual front discs are matched to radial-mount monoblock 6-piston calipers. 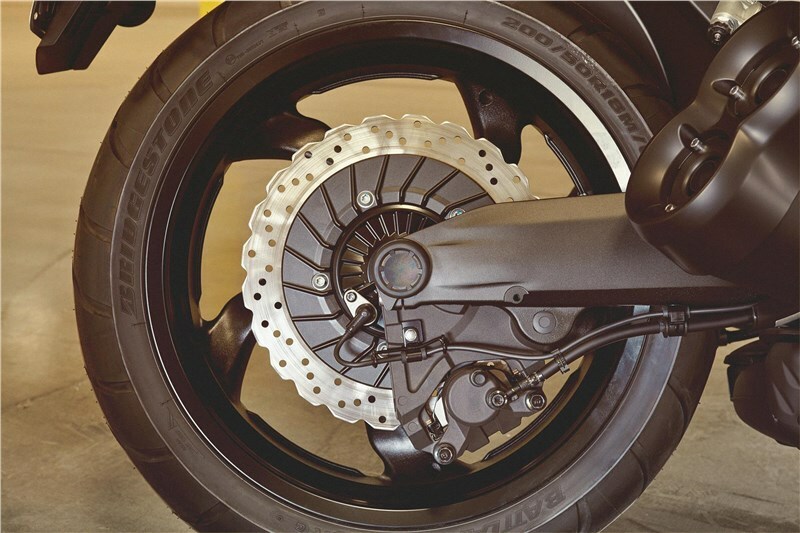 On the rear wheel, there’s a 298mm wave design disc and single-piston caliper. 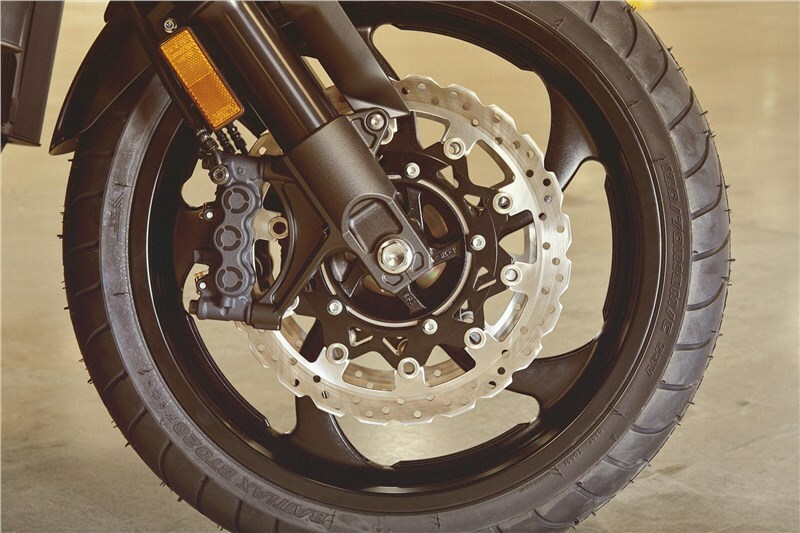 These high-tech brakes also incorporate advanced ABS. 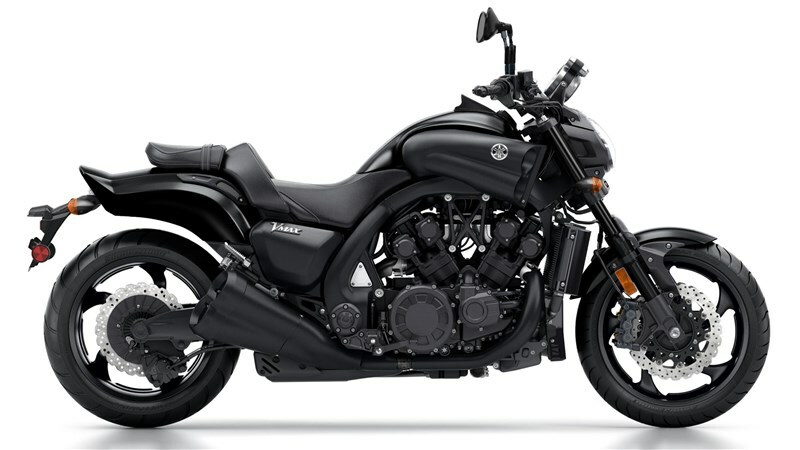 18-inch radial tires, 120/70R18 front and 200/50R18 rear, are mounted on cast aluminum five-spoke wheels. 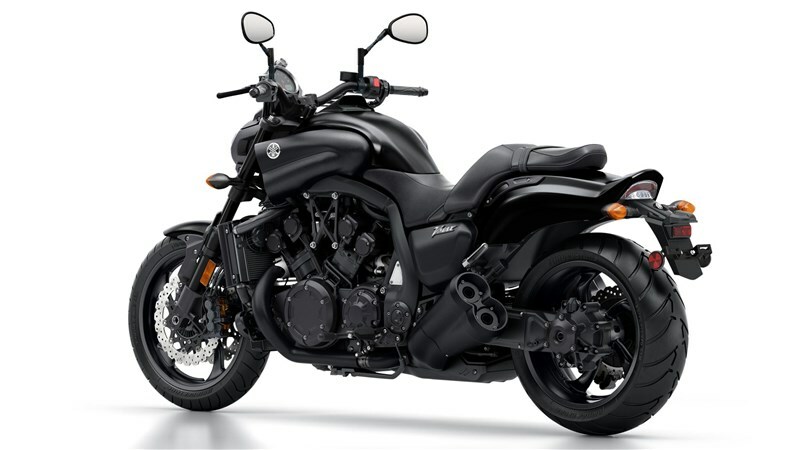 For mass centralization that contributes to the bike’s lean looks, the 4-gallon fuel tank is mounted under the seat, with the filler under the rider’s backrest. 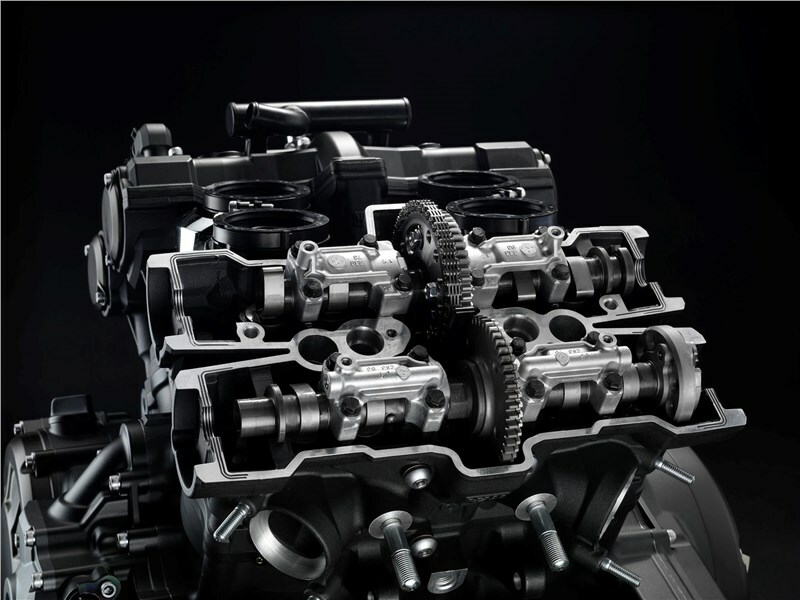 The Electronic Control Unit (ECU) uses three microprocessors to control fuel injection, ignition, YCC-T, YCC-I, meters and other electrical components. 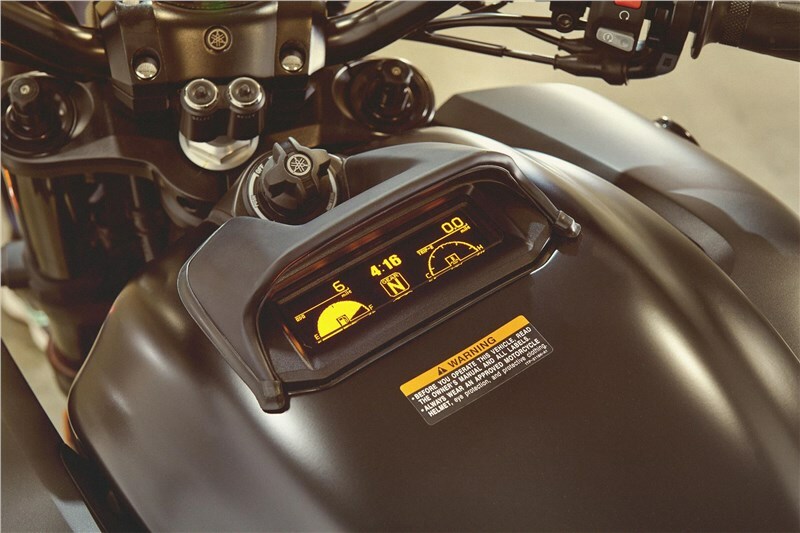 The instrument panel includes an analog, step-motor driven tachometer, and digital speedometer with LED indicator lights. 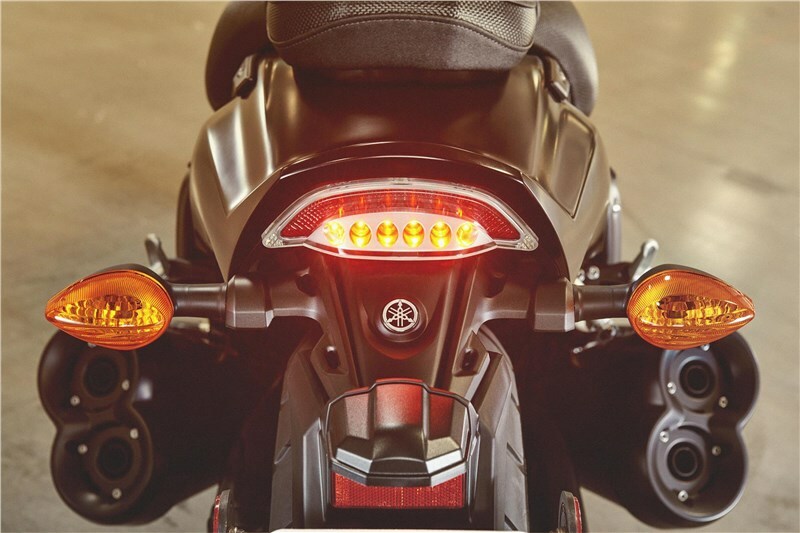 Prominent LED shift timing indicator adds to the performance character of the VMAX. 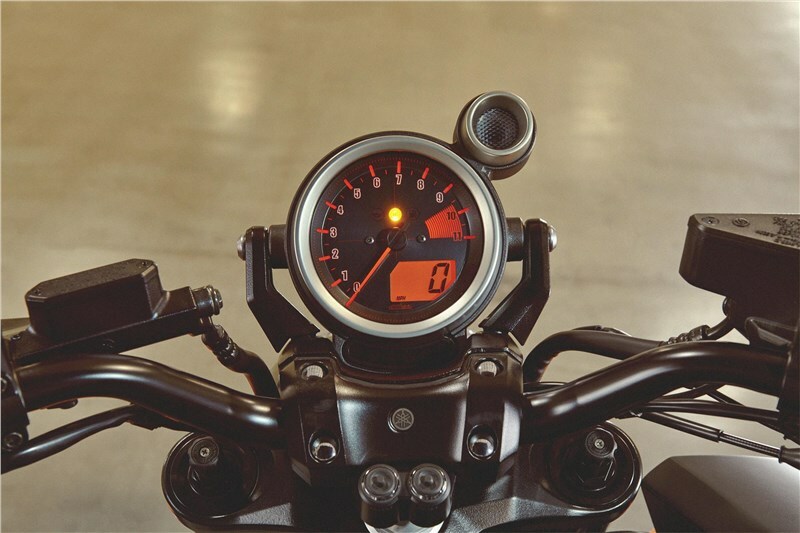 Organic electroluminescence multifunction display provides a more precise display vs. LCD and includes clock, fuel meter, trip meter with fuel reserve trip meter, transmission gear position, coolant temperature, stop watch, and more.